26 Jan Happy New Year! The kids have grown up and moved on, you’re considering retirement or the space you’re in is getting too much for you to handle. If you’re considering downsizing then it might be time to make the leap. Life can be so much simpler and easier to manage with a smaller home. If you’ve always imagined a home with gorgeous views of the water, downsizing might be your chance to make that a reality. You can wake up every morning to enjoy your coffee on your new balcony as the breeze blows from across the ocean. 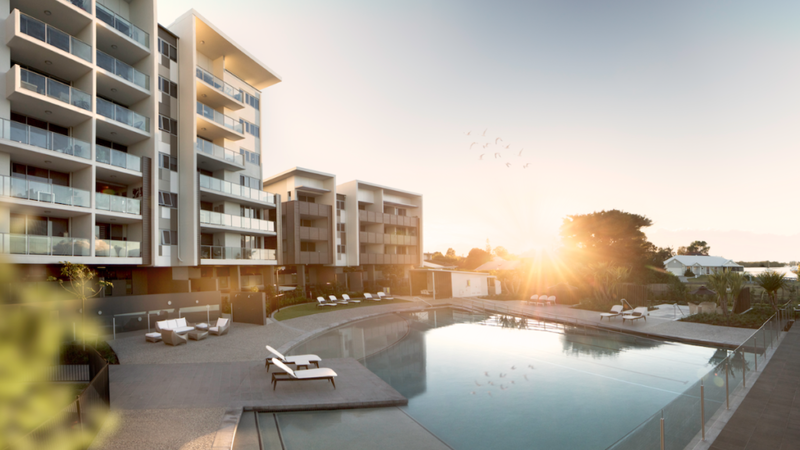 You can have resort style facilities at your fingertips and be in walking distance to restaurants, cafes and parks. “We’d like to share a few things with you about what we love about living at Anchorage Apartments. To start with it’s a really quiet location and there’s a sense of community that is inclusive without being intrusive. For example there’s complimentory events and activities organised by management for those who wish to participate. On Sunday afternoons there are social gatherings organised by the residents. We have great facilities including a beautiful pool, spa, gym, bbq and function room and everything is always immaculately maintained. There’s also onsite yoga and fitness classes including pool exercises. There’s a great balance of residents. Couples, young families and ‘seen-agers’ like us. And our apartment is contemporary and well-appointed and it’s also got easy access to the M1. All of these works are due to the philosophy of the developer and the fabulous and friendly staff at team Anchorage. Our interior designers from Verandah House have been working hard on our Building 2 & 3 foyer schemes. 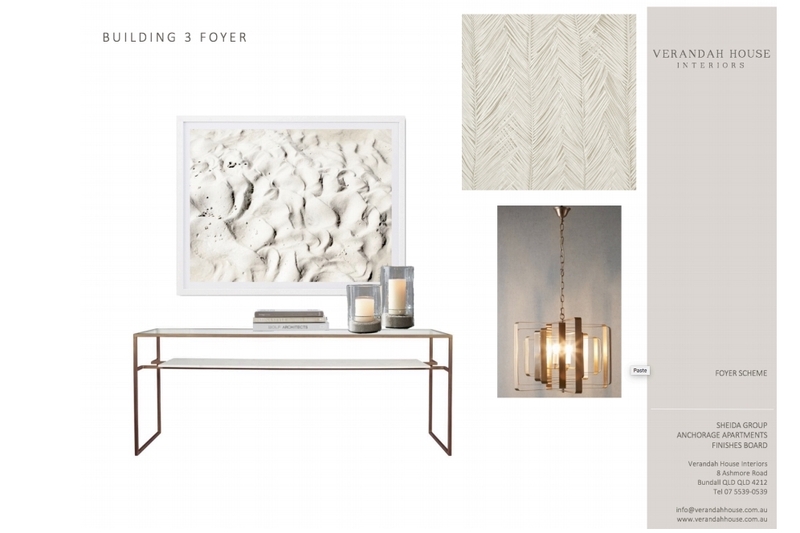 We especially love the unique pendant lighting that went into each of them along with the stunning textured seagrass wallpaper that emanates coastal vibes and is a perfect fit to our waterfront location. The Anchorage ‘Social Club’ is run by our residents, for our residents. 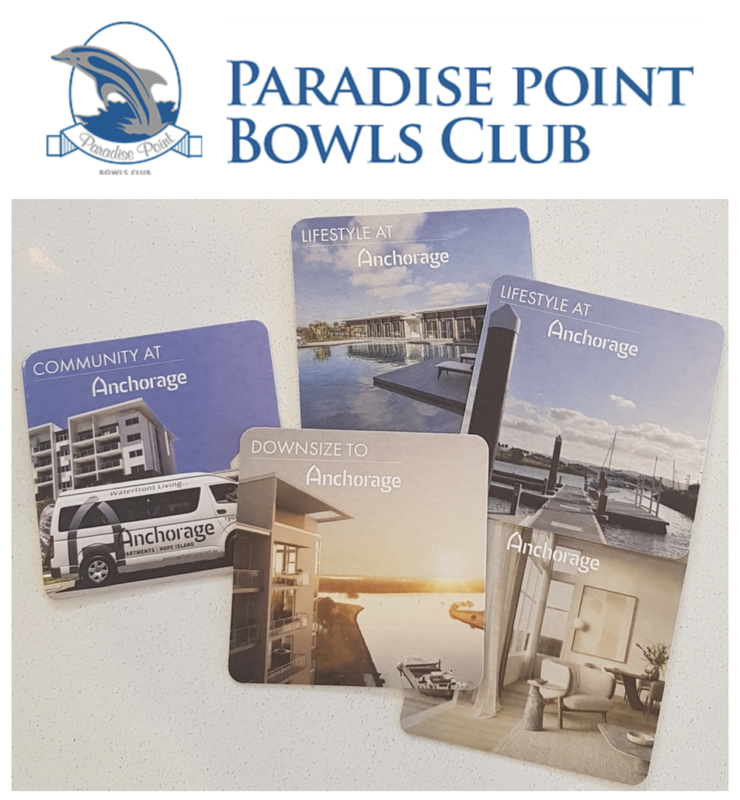 They meet every second Sunday afternoon at the Anchorage onsite function room for catch ups, a few nibbles and beverages. Residents can choose to participate and there is no obligation. 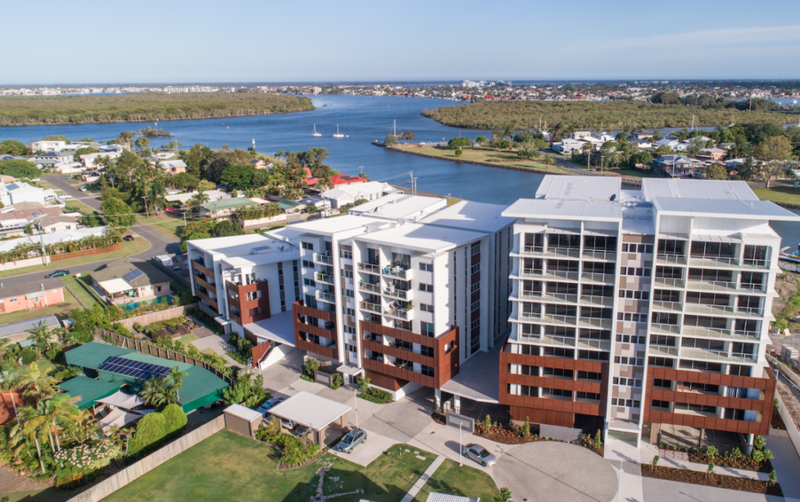 Our residents have truly made their waterfront home a community. Prior to the Christmas break, our residents had the opportunity to enjoy a Kaftan party held in our onsite function room to sort out their Christmas/ holiday attire. It was a very successful event filled with laughs, a few nibbles and a bit too much money spent! Building 3 has now been completed and we have been given the okay to allow owners to move in as early as February! Our tradies have been working hard to make sure everything is on track with our completion date schedule and they have even managed to complete the Building 3 Visitor car park located at the front of Building 3 in our 7 stage development!